delicious and flavorful when they’re roasted this way. They’re much tastier than boiled shrimp, and I think this preparation method is easier too (no boiling water pot to contend with), so it’s a winner all around. Just add some spicy cocktail sauce and you’ve got the best homemade shrimp cocktail you’ve ever tasted. I like to use the largest, wild-caught (not farm raised), shell-on shrimp I can find at the store, and adjust the cooking time by size. Peel and devein the shrimp, but leave the tails on. Place them in a single layer on a sheet pan and mix with the olive oil, salt, and pepper. Roast in the oven for 8 - 10 minutes, or just until they turn firm and pink. Allow to cool slightly and serve with cocktail sauce. You can also refrigerate and serve later. 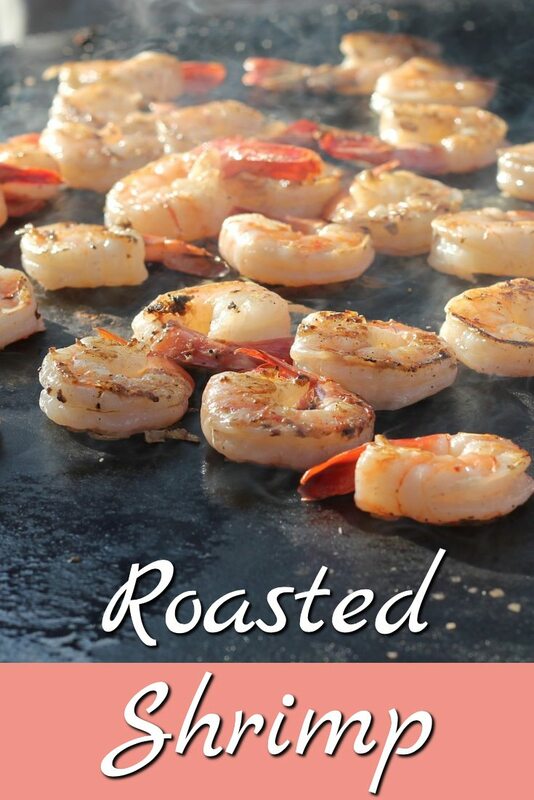 I love shrimp, and this recipe looks so good! I’ll be pinning this for a dinner next week. Thank you!